International Literacy Day is celebrated on 8 September across worldwide to promote and support the development of literacy and skills, universal access to quality education and learning opportunities throughout people’s lives. Let us study through this article about the importance of International Literacy Day, why it is celebrated, its history etc. International Literacy Day is celebrated every year on 8 September across the world to aware about the importance of literacy for individuals, communities and societies and the need for intensified efforts towards more literate societies. It is necessary to raise the world's awareness of literary issues that are faced by people all over the world and also to endorse campaigns that help increase literacy for all people. The theme for 2018 is 'Literacy and Skills Development' to explore integrated approaches that simultaneously support the development of literacy and skills, to improve the lives and work of people and contribute to equitable and sustainable societies. This day also focuses on the various skills and competencies required for employment, careers and livelihoods, particularly technical and vocational skills along with transferable and digital skills. We all also know that International Literacy Day was adopted as the part of the UN's sustainable development goals program in 2015 and Goal 4 has one of its targets ensuring all young people achieve literacy and numeracy basically those adults who lack these skills and opportunities are also provided so that they can acquire them. On 26 October, 1966, UNESCO proclaimed 8 September as International Literacy Day to combat worldwide issues of illiteracy. The purpose was not only to combat illiteracy but also to promote literacy as a tool that could empower individuals as well as whole communities. Due to this many people around the globe will get employment opportunities and will improve their lives. Do you know that the idea of an International Literacy Day was born at the World Conference of Ministers of Education on the eradication of illiteracy held in Tehran in 1965? This day was also adopted as the part of UN's sustainable development goals program in 2015. UNESCO has been central to improve literacy worldwide and that is why promotes International Literacy Day in partnership with governments, charities, local communities and experts in the field worldwide. By adopting various themes every year wants to turn attention on literacy in all its forms in a changing world. No doubt without literacy we can't make changes in the world and also can't improve our living being. 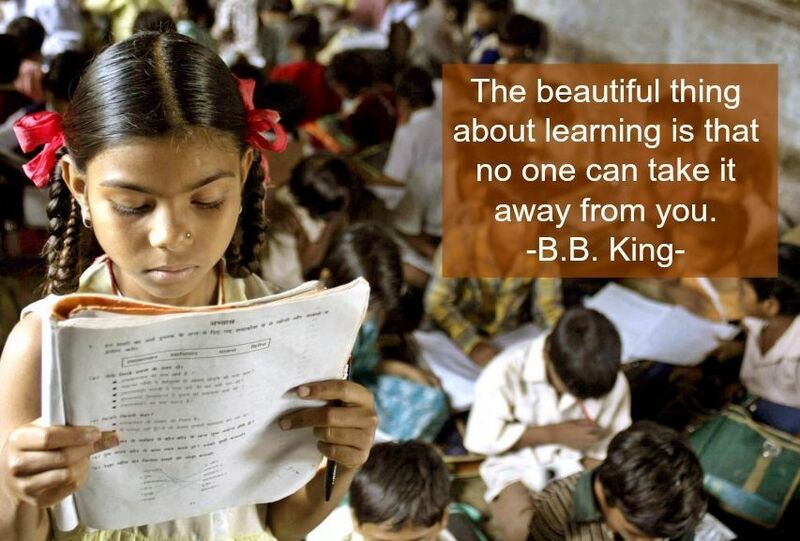 According to UNESCO "Literacy is the best remedy" which is the key to the right for all to an education. Also, we all know that UNESCO sustainable development goals mobilise efforts to eradicate poverty and inequalities across the world and improving literacy rates are an integral element. UNESCO also announces International Literacy awards; these are prestigious prizes recognising excellence and innovation submissions on the "Literacy and skills development" theme for 2018. With this further the importance of this day will be enhanced and promotes awareness and relevance of literacy and adult learning. Why International Literacy Day is celebrated? This day is celebrated to promote the human attention towards the literacy and know their rights for social and human development. As, food is important to be alive and success same literacy is also important. It is a necessary tool to eradicate poverty, lowering the child mortality, controlling the population growth, attaining the gender equality etc. It is correctly said that literacy has the ability to raise the family status. Therefore, this day is celebrated to encourage the people towards getting continuous education and understand their responsibility for the family, society and the country. UNESCO continues to play a leading role in improving global literacy and promoting International Literacy Day with governments, communities etc. Through themes and several programmes, it aims to highlight the role of literacy and skills development in the context of a changing world. Next Story What is the difference between the FBI and CIA? When and Why World Earth Day is celebrated?